A group of CCR divers undertook a trip on a liveaboard to explore wrecks in the 80-120m range. On this particular occasion the boat was located some 100m from the reef wall and the wreck was 200-300m from the boat. To find the wreck divers would make an oblique descent, with the reef just visible in the blue water, until they found the wreck. The ascent was more problematic as the mooring lines for the particular boat had to be found (as there were a number moored on the reef), and ascend back to the boat. Decompression obligations for each dive were in the order of 3.5 hrs with divers having their own specific plans rather than buddy or team diving. The divers had been told there was a drop bottle system in place for emergencies. On the day in question, divers descended individually as per their plans dictated. As the first diver finished their bottom time and started their ascent to clear their decompression obligation , they had an issue which meant that the loop was compromised and they had to bailout and ascend on the mooring lines. Everything was going to with the plan modified to get shallow and use the AL80s of 80% which were at 9m. At this point the diver switched to the AL80 and started to breathe the gas. After an unknown period of time whilst they were on their own, it is believed they suffered an oxygen toxicity event and drowned. Fortunately they had clipped themselves to the drop bottle line and so the body was recovered. Subsequent gas analysis showed that the bottle had been filled with 100% O2 but there were no markings on the cylinder to show the contents. Now consider how this incident occurred and what could have been done to prevent this from happened? This incident didn’t happen. Sorry. The background is true but the bailout and subsequent OC ascent and tox did not happen. However, there were many events that happened on this trip that would have meant that if something did go wrong, then there would have very likely been a fatality. On the first dive on this wreck there was no bottle on the mooring line nor was there one on the boat ready to be dropped. The second dive there was a bottle on the mooring line at 10m but there was no regulator attached nor was there any gas analysis or markings to determine what was in it, the assumption being 80% given the depth. On the following two dives there was a regulator attached to the cylinder, the cylinder was at 10m below the boat, but there was still no gas analysis tape or markings to determine what was inside the cylinder. In hindsight, it was not clear how the bottle would be used as the divers would have had to have found the boat after ascending the reef. Finally, whilst there was a drop-bottle system, only two bottles were able to be used which meant that they would need to be cycled to the surface one at a time if there was a problem. Fortunately everything ran to plan and there was no need to use the (flawed) back up plan. Carl Spencer died from breathing a gas that was in an incorrectly marked cylinder which was used as part of an emergency plan that was being executed. This incident involved not analysing gas in the diluent cylinder of a CCR, fortunately it did not end up as a fatality, but no gas was analysed that week by student or instructor. Having an emergency action plan is essential when remote diving. However, the plan is only ever any good if the composite parts will work as planned. In this case there was an assumption that there would be a drop bottle for the first dive, there wasn’t one. On the second dive they had arranged for the drop bottle to be in place, but again another assumption was made – the crew knew that they had to put a regulator on it. On the third and subsequent dives, the regulator was in place on the cylinder, but no-one had analysed the gas, nor had they really worked out how they were going to execute the plan if they needed to get that additional gas. Fundamentally, if an emergency plan needs to be executed, it shouldn’t required the diver to start problem-solving. Keep it simple. Make a plan. Pick holes in the plan. Dry-run it if need be. Then go diving. Hopefully the plan won’t be needed. In my mind, this was an incident despite nothing happening. In many domains, documenting near misses like this provides many opportunities to learn from. Consider reporting such near misses to Diving Incident and Safety Management System so others can learn too. 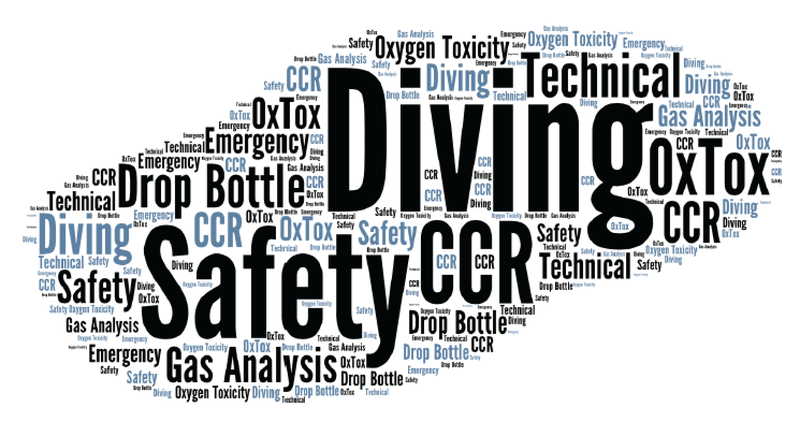 ← Learning from Incidents – Why It Isn’t Easy in Diving!